In April 2014, the Board of Education adopted a Digital Learning Plan to put technology into the hands of all Batavia Public School students. The plan was conceived from the work and vision of the Board of Education’s Instructional Technology Committee in 2012, and has since been tested in a series of pilots. 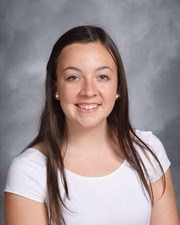 Earlier this school year, students in grades 6–12 were issued a Chromebook laptop. The Chromebooks have been highly successful, and students and teachers indicate that they would never want to teach and learn without such support. Starting with the 2015–16 school year, students in grades K-1 will be issued a Samsung Galaxy tablet; students in grades 2–5 will be issued a Dell Chromebook laptop. This is the second part of the District’s Digital Learning Plan. To help answer questions about the one-to-one devices; fees and ownership; damage, loss, and theft; classroom use and support; and privacy and security, a list of Frequently Asked Questions are featured on BPS101.net. Fri., Aug. 21 is the kick-off for Batavia High School fall athletics and marching band season. 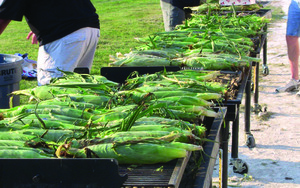 The Corn Boil is a wonderful community event where your family can enjoy a meal of brats and corn PLUS purchase spirit wear and support all BPS101 athletes. The Corn Boil draws Batavians of all ages for great food and performances by the BHS marching band, cheer teams, and dance teams. Various sports practices will also take place during the event in Bulldog Stadium. This is a community event for all ages, so come out and enjoy the evening! At 7:30pm, student athletes involved in fall season BHS sports and their parents are invited to attend an informational meeting in the BHS gymnasium hosted by Dave Andrews, Batavia High School’s Assistant Principal for Operations and Athletic Director. Buy a heavily discounted name-brand mattress (Beautyrest, Simmons, Restonic, Therapedic, and more) and your purchase will benefit Batavia Music Buffs music programs! 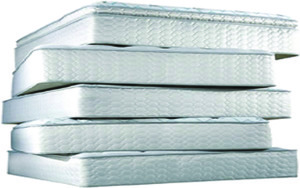 Mattresses are brand new with full factory warranties. All mattress sizes are available and samples will be on the BHS “show floor” for trial. For more information, visit BataviaMusicBuffs.org. On Homecoming Night, Sat., Sept. 19, Batavia Public School District 101 will welcome 14 inductees into the inaugural Hall of Honor at Batavia High School and celebrate the 30th Anniversary of the Batavia Foundation for Education Excellence. · 5:30pm—Honorees arrive with guests for unveiling of the “Hall of Honor” in the main hall of Batavia High School. · 6pm—Reception in the lobby of Batavia Fine Arts Centre. · 7:30pm—Awards Ceremony on main stage of Batavia Fine Arts Centre. Starting July 15, tickets will be available online at BataviaFineArtsCentre.org or by calling 630-937-8930. Tickets are $50/adult and $25/children 12 and under. Because the awards ceremony will be part of Homecoming Week, Hall of Honor inductees will also be recognized at the Homecoming Parade on Wed., Sept. 16 and the football game on Fri., Sept. 18. For more information about the BPS Hall of Honor, visit bit.ly/BPSHallofHonor and follow along on Twitter.com/BPSHallofHonor and Facebook.com/BPSHallofHonor. 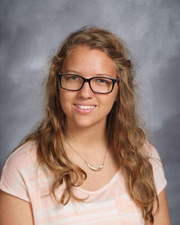 This past spring, three Batavia High School seniors were each honored with $1,000 scholarships from the Batavia Foundation for Educational Excellence on behalf of the late Marilyn Robinson and Thomas L. Schmitz. Scholarships were awarded based on community service, school-related activities, and academic status. Marilyn Robinson came to Batavia in 1965 to teach business education at Batavia High School. She became interested in writing about Batavia and wrote a historical pageant for the city’s 1983 sesquicentennial and retired from teaching in 1988 but continued her research and writing about Batavia history. Her first book, Little Town in a Big Woods, was written for children in 1989 and a revised edition was published in 1995. Tom Schmitz lived in Batavia his entire life and was proud to be a graduate of Batavia High School. Tom and his wife, Nancy, raised two sons in Batavia who also graduated from BHS. He served on numerous elected and appointed boards in the community, one being a member of the Batavia School Board. He would be proud to award a scholarship to a student who appreciates Batavia and will make an effort to give back. 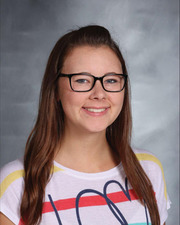 For more information about the Batavia Foundation for Educational Excellence and its student scholarship and teacher grant opportunities, visit BataviaFoundation.org.